ESET Security Management Center is an easy-to-use management console. 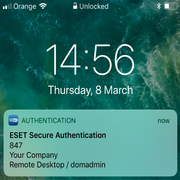 It provides real-time visibility for on-premise and off premise endpoints as well as full reporting for ESET solutions on all OSes. All these features are managed from one single pane of glass. ESET Dynamic Threat Defense is a cloud-based sandboxing solution. It evaluates behavior of all submitted samples with threat intelligence feeds, ESET’s multiple internal tools for static and dynamic analysis and reputation data to detect zero-day threats. ESET Enterprise Inspector is the most flexible and custom-fit EDR solution on the market. It enables granular visibility and identification of anomalous behavior and breaches, risk assessment, incident response, investigation and effective remediation. In your network, you have users that are repeat offenders when it comes to malware. The same users continue to get infected time after time. Is it due to risky behavior? Or are they being targeted more often than other users? Easily view problem users and devices using ESET Enterprise Inspector. Quickly complete a root cause analysis to find the source of infections. Remediate found infection vectors such as email, web or USB devices. Every role in the company requires different levels of protection. Developers or IT employees require different security restrictions than the office manager or CEO. Configure a unique policy per computer or per server in ESET Security Management Center. Automatically apply a different policy based off a different static user group or Active Directory group. Automatically change configuration settings simply by moving a user from one group to another. Some businesses are worried about applications users are running on systems. Not only do you need to worry about traditionally installed applications but also portable applications that do not actually install. How can you stay in control of them? Use ESET Enterprise Inspector to view and filter all installed applications across devices. View and filter all scripts across devices. Easily block unauthorized scripts or applications from running. Remediate by notifying users about unauthorized applications and automatically uninstall. Fileless malware is a relatively new threat and due to it only existing in memory requires a different approach then traditional file-based malware. Reduce data gathering and investigation time by uploading threat into ESET Threat Intelligence to provide information on how the threat functions. Daily monitoring of data/events/alarms generated by ESET Enterprise Inspector, threat alerts and risk mitigation recommendations. On-demand investigation of a specific set of data, events, and alarms generated by ESET Enterprise Inspector. Early warnings about threats and comprehensive data feeds from cloud-based cyberspace intelligence that ESET collects from over 110 million sensors worldwide. Premium support from highly-trained ESET professionals 24/7 ensuring minimum reaction times to maximize productivity and the value of your ESET security solutions. 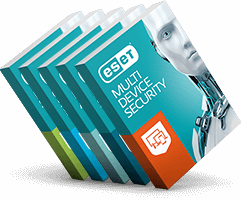 ESET has been our reliable security solution for years. It does what it has to do; you do not have to worry. 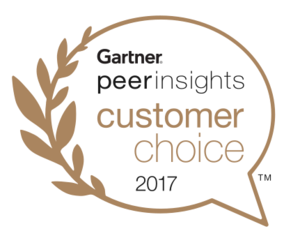 In short ESET stands for: reliability, quality and service.